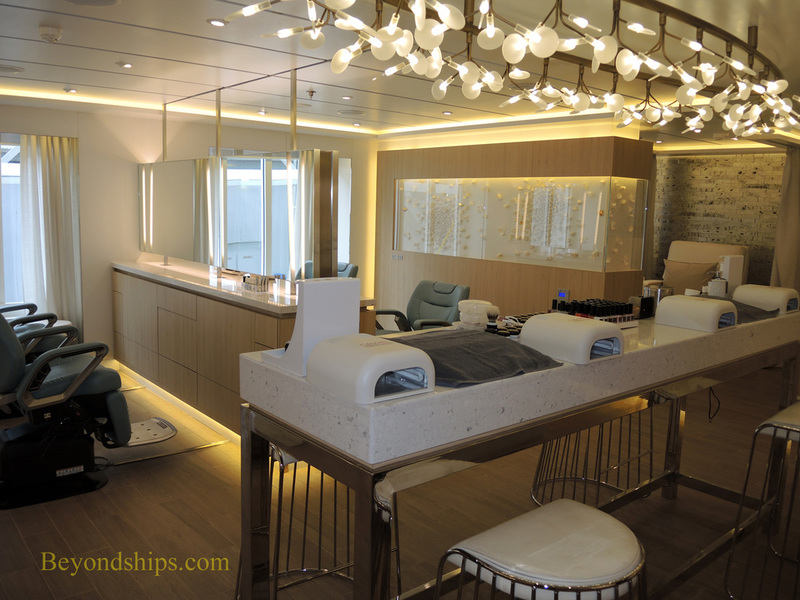 Viking Star's spa is different than most cruise ship spas in that it takes a Nordic approach to the experience. 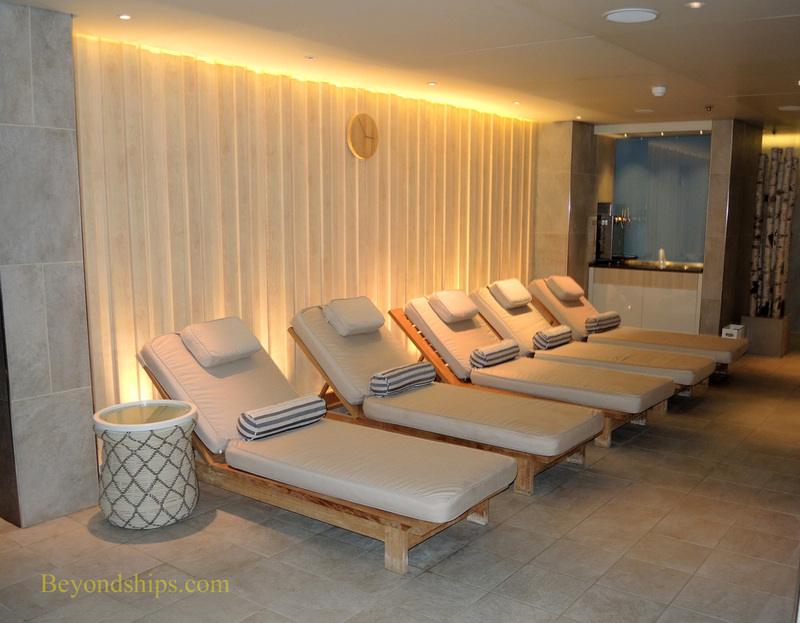 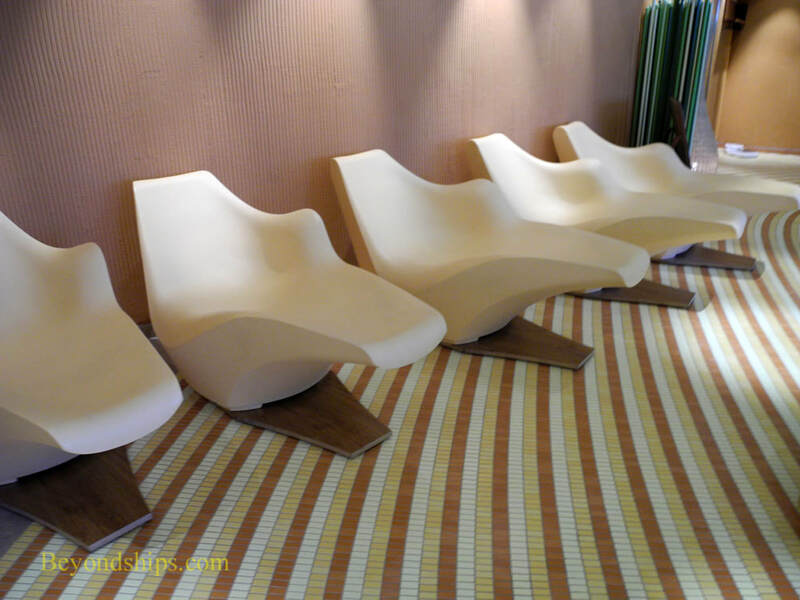 Massages and other treatments are provided by LivNordic, a leading Scandinavian spa. 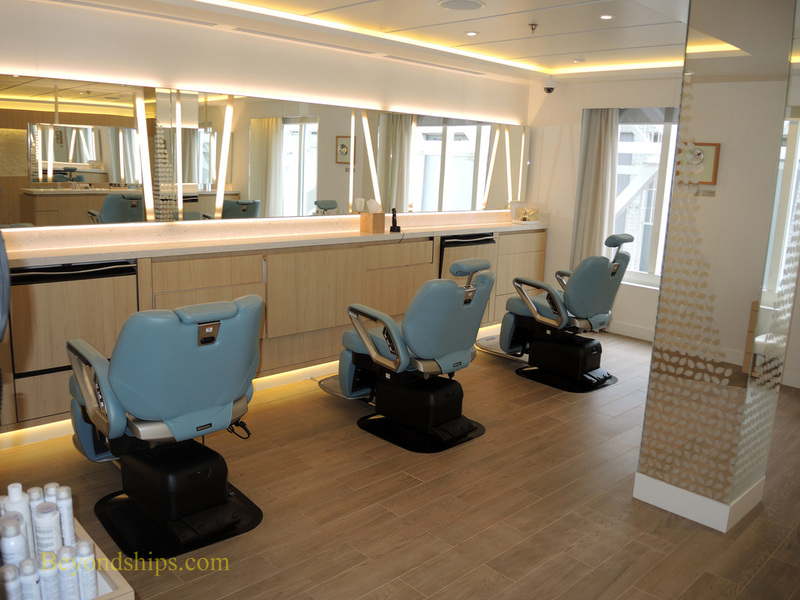 (See spa menu from one cruise). 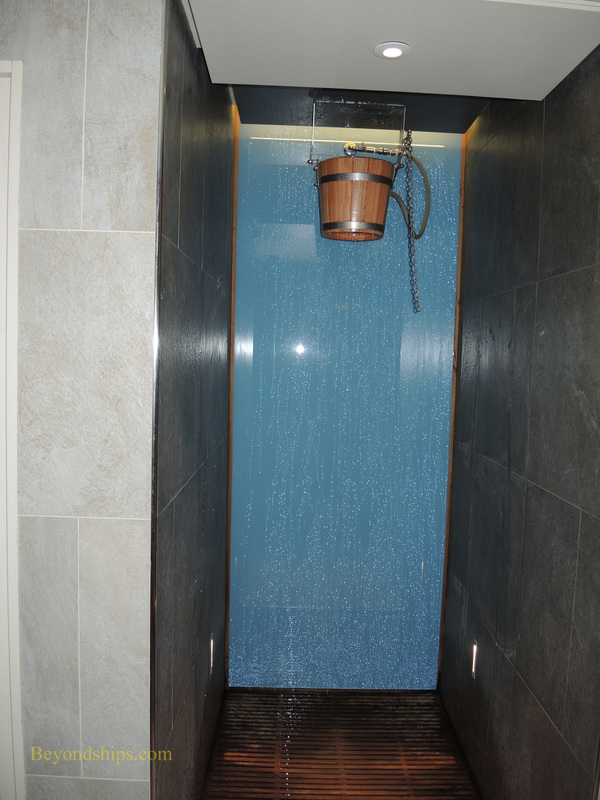 In addition, the spa facilities include facilities favored in the Scandinavian countries such as a snow room and a bucket shower. 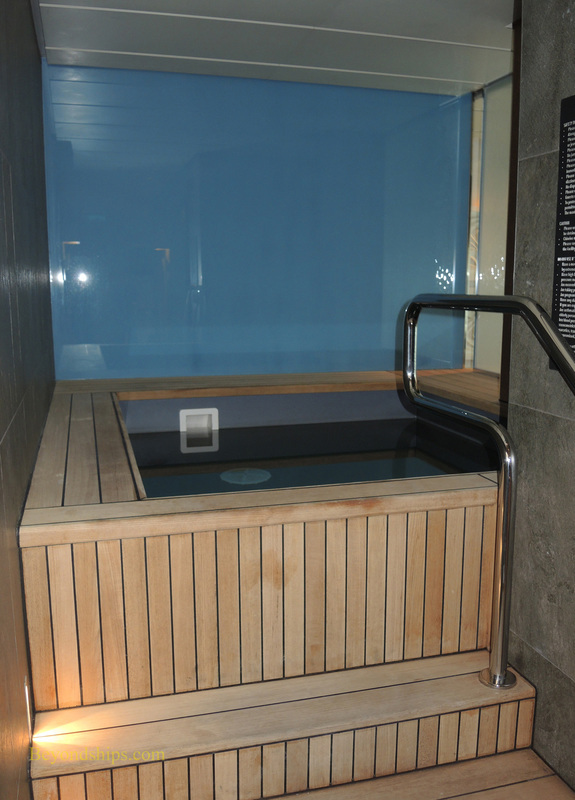 The centerpiece of the Spa is its large pool. 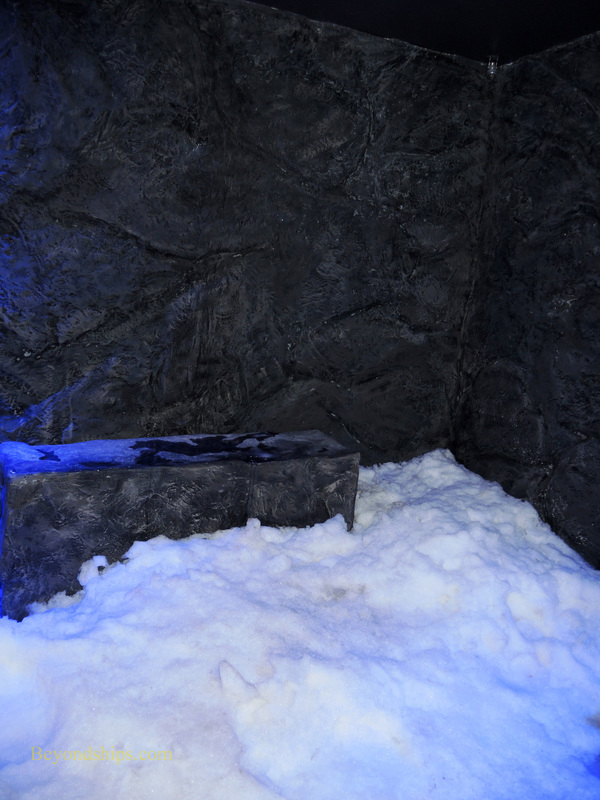 Other facilities include thermal chairs (above) and the snow room (right). 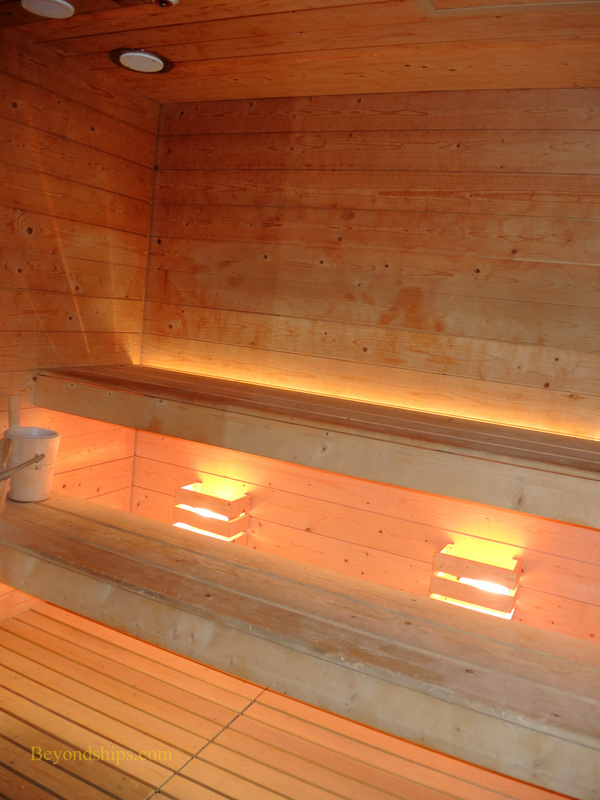 In the dressing rooms are saunas and hot tubs. 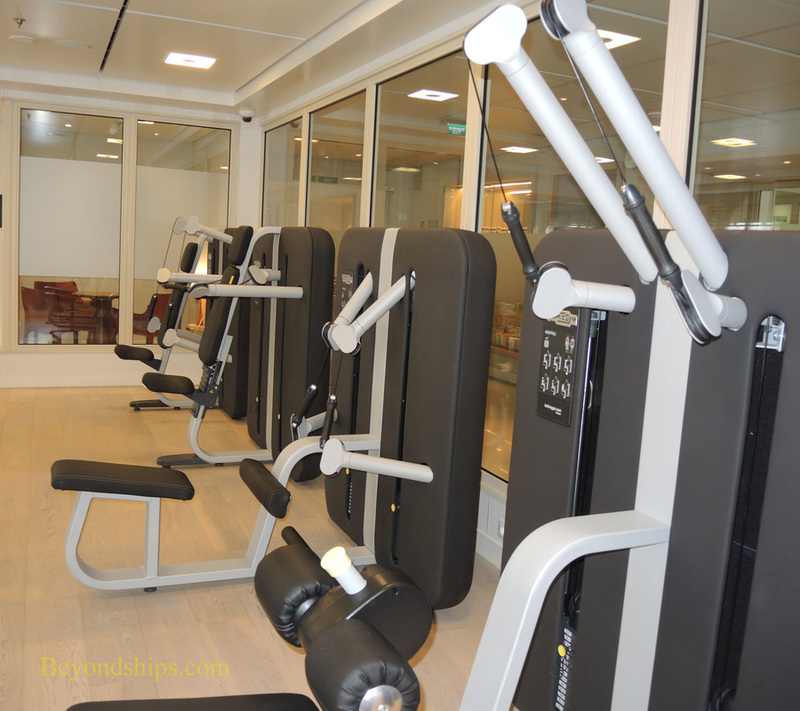 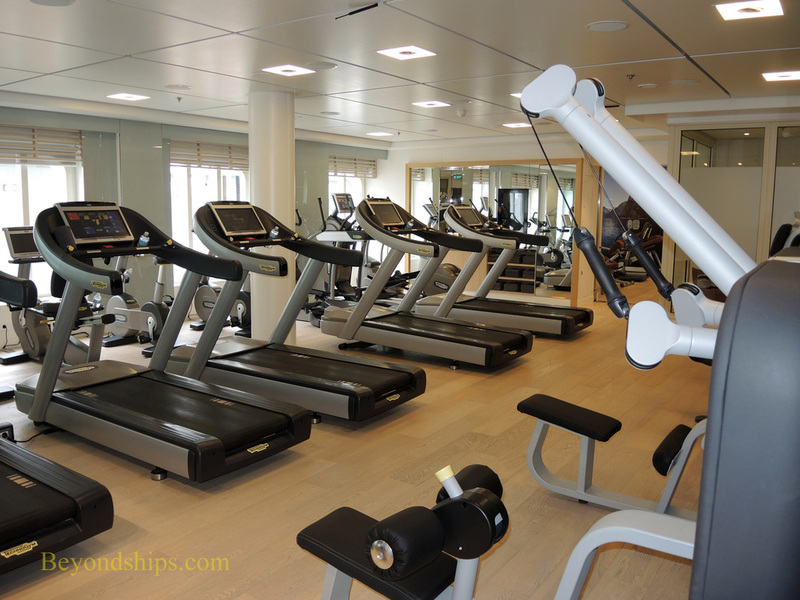 The spa area also includes the Fitness Center, which is equipped with treadmills,weight resistance machines and other exercise equipment (above). 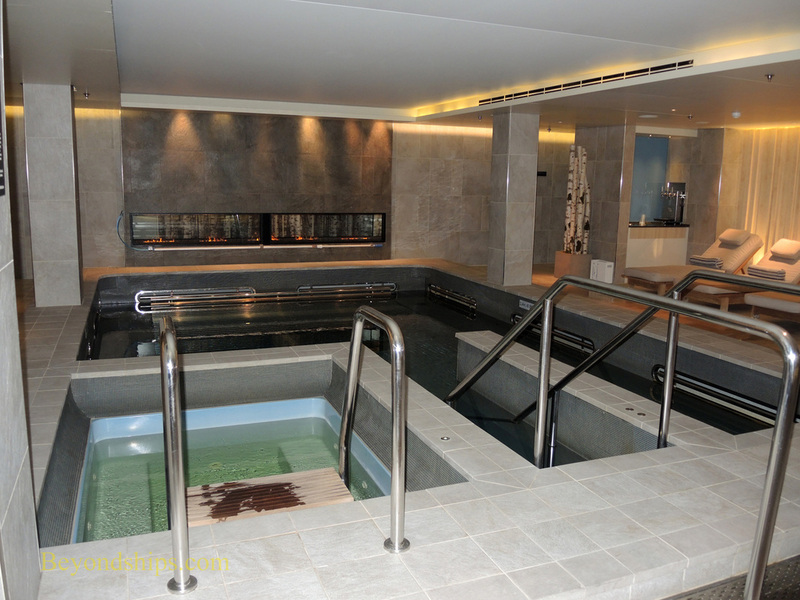 The third component of the spa is the Salon (below).